I’m really into the concept of “no cook” freezer cooking. Simply combine the ingredients and freeze! My most recent success was a lasagna made with no-bake noodles and fresh spinach. It was so easy to make that I made two at a time. 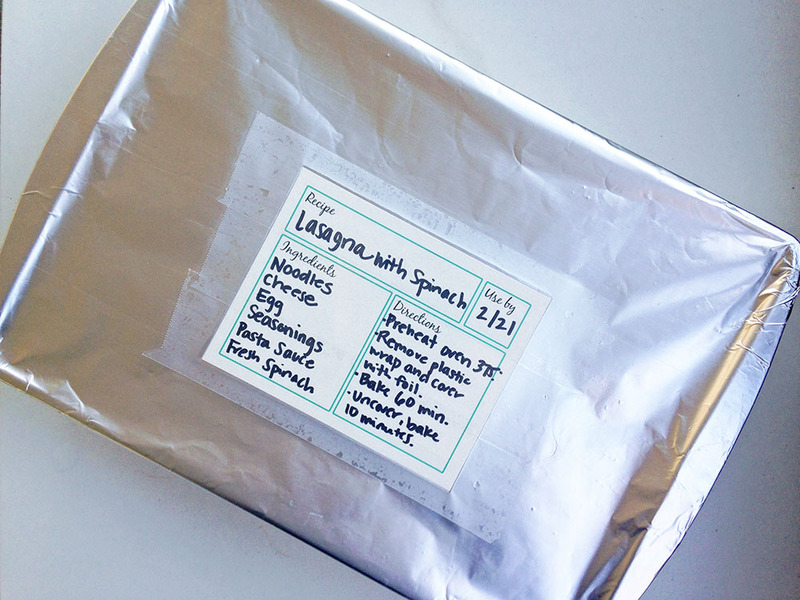 For years, I froze lasagna for holidays and birthday parties. I’d boil the noodles, assemble everything, and then freeze. 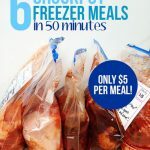 These days, I like to assemble my freezer meals without any cooking ahead of time. The recipes are very quick to prep. There are less pans to wash after prepping your meals. 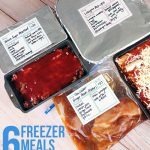 It’s easy to keep your freezer stocked with homemade meals for busy weeknights. Sounds like a win-win-win-win to me. 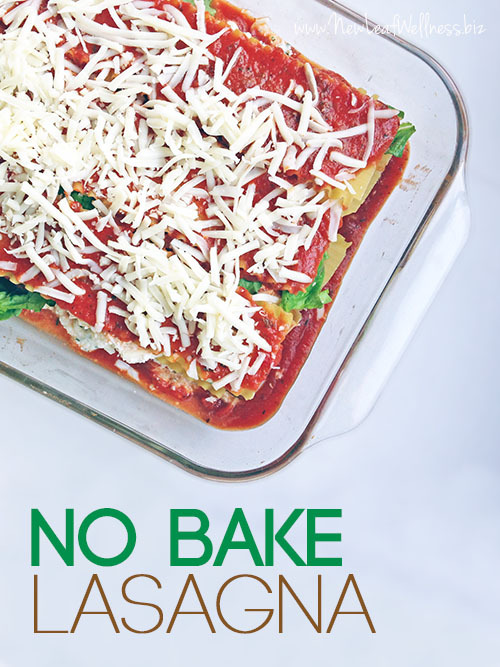 I shared a bunch of “no cook” freezer recipes in my cookbooks, and if I ever write another one, you can bet this lasagna will be in there too. It’s a meatless, cheesy lasagna made with fresh baby spinach. Such a delicious and family-friendly meal. When you make this lasagna, I recommend making two at a time. The texture of “no boil” lasagna noodles is slightly different than the kind you boil, but my whole family taste-tested this recipe and decided it was equally delicious and a wonderful time-saver. In a large bowl, create cheese filling by combining eggs, ricotta, parmesan, half of the mozzarella cheese, parsley, salt, and pepper. Spread a thin layer of pasta sauce at the bottom of each pan. 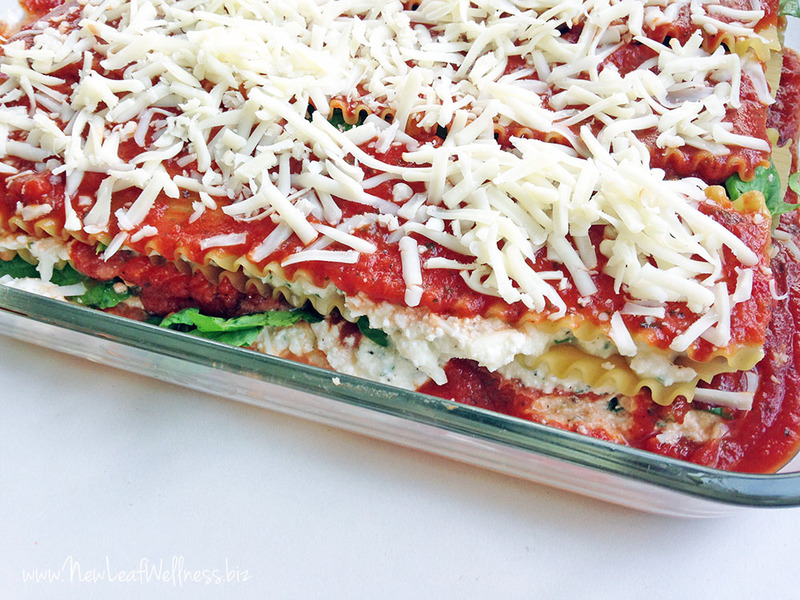 Layer lasagna noodles, cheese filling, fresh spinach, and pasta sauce until you have four layers of noodles in each pan. Preheat oven to 375 degrees F. Cover lasagna with foil and bake for 40 minutes, or until center is hot. Remove foil and bake for additional 5-10 minutes or until cheese on top is melted. Cover each pan with layers of plastic wrap and foil, and freeze for up to three months. Preheat oven to 375 degrees F. Remove plastic wrap and replace foil. 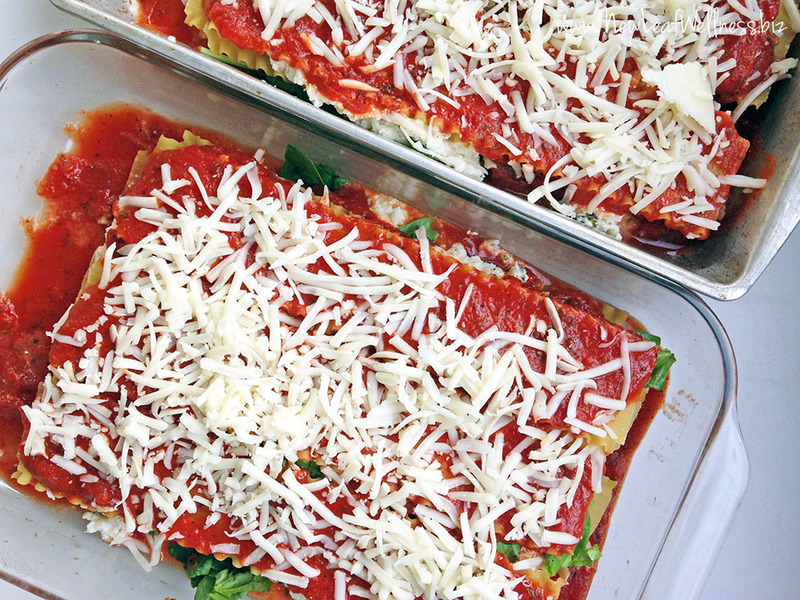 Bake frozen lasagna 60 minutes or until center is hot. Remove foil and bake for additional 5-10 minutes or until cheese on top is melted. this recipe is as awesome as the rest. Made it the day you posted it and it tastes great. Even my husband wasn’t missing the meat in it. I’m cooking only for 2, so i made 4 lasagnas and put 3 in the freezer. Thank you so much for all your great recipes. Thank you so much for letting me know. Great job stocking your freezer! This looks amazing. I’m going to make this for a friend who just had her fourth baby. Love that it can be frozen and she can pull one out when she needs it! Btw, is there a way to print your recipes that I’m missing? There is usually a printer friendly button somewhere on the page but I can’t find it. Thanks! I love all the ideas! Would this recipe work ok without the spinach? I’m looking to add a lasagna to my freezer cooking but we aren’t big spinach eaters. Great tips!!! Yes, I think it will work just fine. Thanks, Karen! Kelly, Love your recipes. Have made several successfully, however, have always used a freezer bag. Do you freeze the lasagna in a glass casserole dish? If so, does it handle going into a hot oven without problems? I *think* I cooked the lasagna in the glass immediately and froze the one in the aluminum pan…but I think it’s OK to freeze in glass. 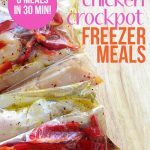 I typically thaw my meals in the fridge to shorten the cooking time. Yes, you can freeze in a glass pyrex. I do it all the time. 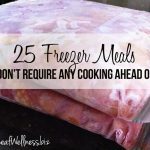 Make sure you thaw in fridge overnight. I also pull it out of the fridge and let it sit about 30 min before placing in the oven. Glass does not like sudden extreme temperature changes. How do you decide on the use by date? Three months from the prep date.